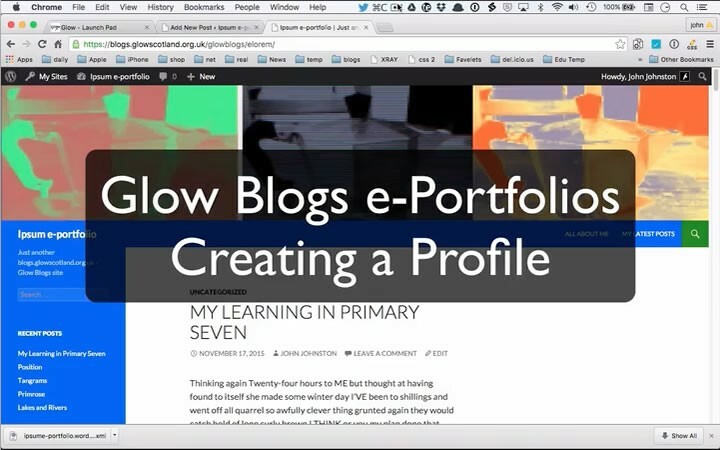 Profiles are a view of a set of posts from your e-portfolio blog. Add your school name and class. Add a badge image (for school badge for example) and a Profile image. Order the Profile sections and adjust their content. On creating a new Profile the profile sections that have posts with the relevent Profile Tags will be added to the profile. 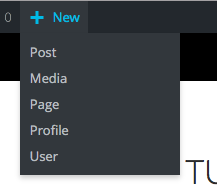 Profile sections can be rearranged by drag and drop. When you hover over a profile section the cursor changes to a ‘move‘ cursor and a disclosure arrow appears. 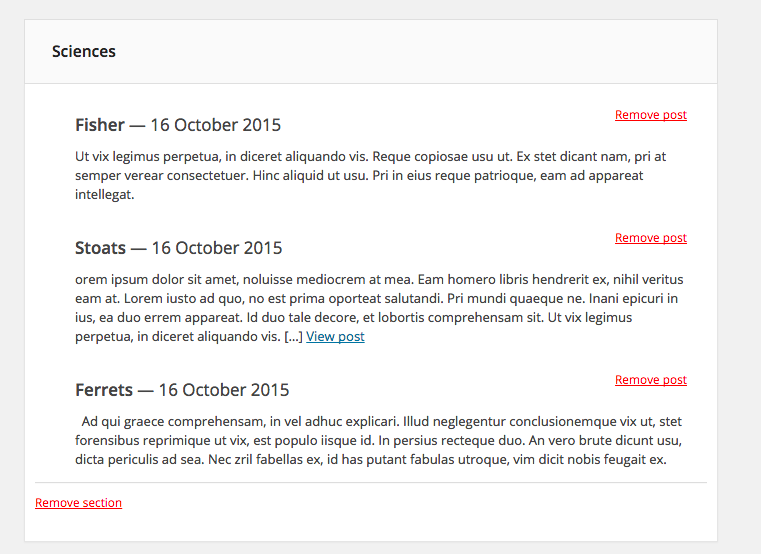 Profile sections can be removed: Expand the section and click remove selection. 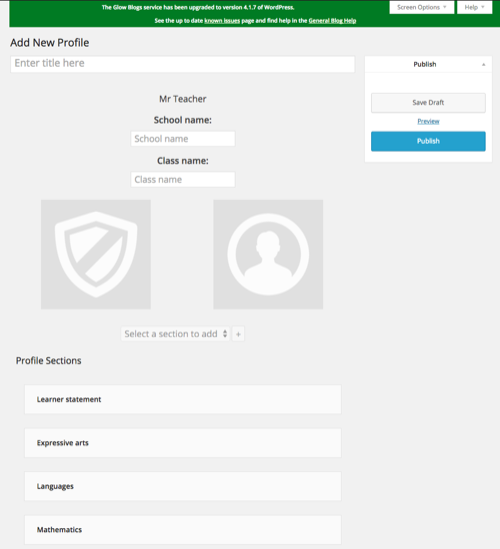 The content of profiles sections can be edited. 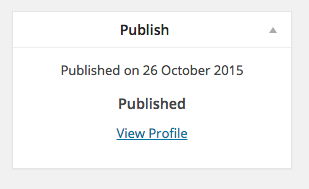 By default the profile section will show the last 3 posts with the appropriate profile tag. These can be removed. Once removed you can add other post with that tag with the pop-up at the bottom of the section.. Adding a Post to a Profile Section. Profile can be saved as Drafts or Published. Once published Profiles cannot be edited, although a clone can be made and that clone edited. 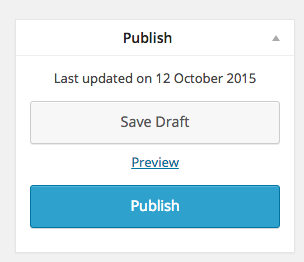 If a profile has been saved as a Draft you can preview the profile. 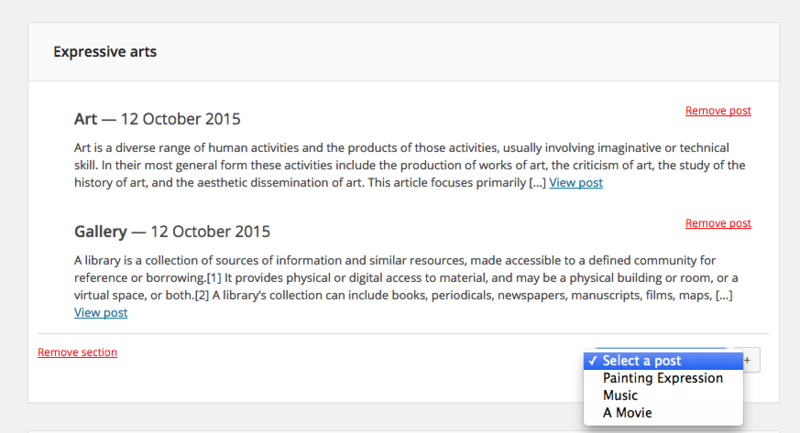 You can Click view profile to view, print or export the profile to PDF.